Business simulations allow learners to interact with a realistic version of their work environment. A simulation game mixes elements of cooperation, competition and decision making with feedback and repetition. Combining game elements with simulations, modern technology and media creates a learning solution that has many benefits. This kind of group simulation isn’t just teaching your learners about the scenario they’re facing, it’s showing them how they can work together and learn from other people’s experience. Business simulations seek to put the learner in a realistic scenario that they will encounter in their work life. Putting them in an environment that recreates the real world lets them see the effects of their decisions immediately. To get the most out of a business simulation game there are several things you should do. If you create a business simulation that includes these elements you can expect to see the following benefits. Experiential learning has been shown to be more effective than other kinds of training in many areas. A simulation allows employees to learn by experiencing the consequences of their actions and repeating different strategies to see different outcomes. Studies show that you can not only impact on learner’s knowledge of the content of the simulation but also on more general skills. Research into critical thinking in students shows that skills are improved by taking part in management simulations. In this case the content of the simulation was secondary to the intended effect. Even if the content of the simulation is not relevant to the exact role a learner plays in an organisation they will benefit from taking part. Critical thinking, teamwork and other soft skills all improve when learners take part in a well-designed business simulation. Cooperation with colleagues is rated as the most important method of learning by learners themselves. A simulation lets learners work together to achieve the best results. Learning from a colleagues approach to a situation and their knowledge of the industry is more useful than reading about a technique or fact. Cooperating and competing with different teams that you don’t usually work with enables knowledge sharing that isn’t usually possible. Towards Maturity carried out research on the impact of simulations in their report In-Focus Online Experiential Learning . Two-thirds of respondents reported an increased engagement in the learning when it involved a simulation or other similar interactive element. Combining teamwork, interactions, rich media and game elements in one package creates a training event that learners want to experience. When learners want to take your training, and even repeat the session, you know it’s offering something beyond the ‘traditional’ tick box standard. 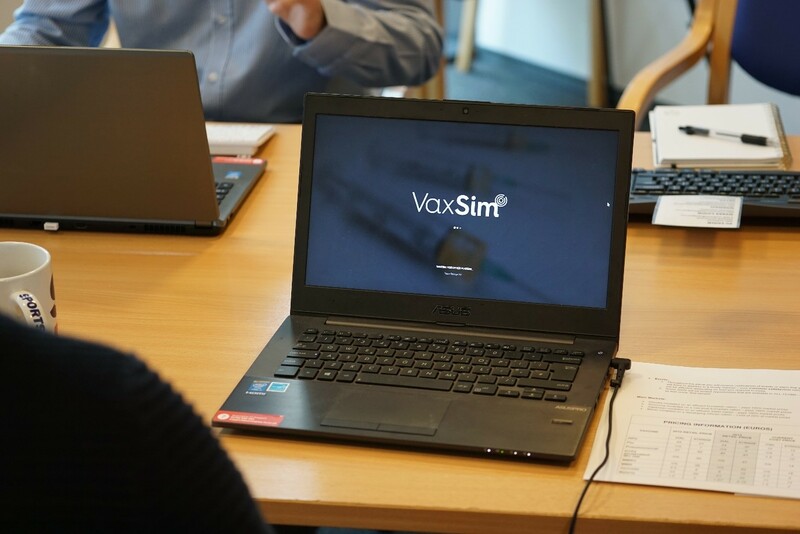 Leading pharmaceutical company, GlaxoSmithKline (GSK) wanted an interactive activity to support its regular onboarding event for the vaccines arm of its business. GSK wanted the experience to be as immersive and engaging as possible to give their employees an overview of how the different parts of a global vaccines business work together. VaxSim is a multi-media business simulation game that combines digital, video, gaming and live role-play elements. One to twelve teams of between six and ten people play out a simulated financial year, each team member having a distinct and key role (e.g. CEO, CFO, VP of Sales and Marketing, VP of Operations). They make quarterly decisions on what vaccines to produce, what tenders to bid for, what resources they need and what hiring and customer relations activities they need to carry out to be successful. They must choose their target market from a series of fictional countries. Throughout the game, players must think on their feet to deal with unexpected situations such as a fire in a manufacturing plant or the opportunity to hire a maverick salesperson. These game alerts may come in as a simulated news report, email, Skype call or WebEx meeting. The use of multi-media adds drama and propel the narrative along. Debriefs are held half way through the daylong session and after the simulated year has finished. Feedback from learners and L&D was positive with 100% of participants enjoying the experience and 90% believing it would be beneficial to their job. Read more about the GSK business simulation in the Elearning Age magazine article . Most learners don’t get to experience more than a handful of roles in an organisation. Putting them in the position of a different role within a simulation allows them to experience how they fit into the wider picture. Using a simulation as an introduction to how a company operates gives new employees an overview of the way it works that no traditional presentation can match. Allowing them to experience the role of a different department gives them more empathy for their colleagues and their challenges. Uniting geographically remote workers with a team-based simulation makes it easier for all participants to understand the issues facing the different teams in your business. Modern business simulations use technology to incorporate the event into your learning platform. Recording the actions taken and their results allows real time feedback to be displayed as well as captured for later assessment. Quantitative data can be drawn from the various inputs the learners make to the simulation system. The more sessions that are run the more data is collected for comparison and analysis, making a simulation more valuable in the long term. Often a facilitator will be involved in running the simulation, giving L&D an opportunity to collect qualitative data throughout the session. Debriefs are an important part of any business simulation and offer some of the most valuable opportunities to learn for the business and participants. How does this relate to the real world? By asking these questions of the learners, you can get a deeper insight into how effective the simulation has been, and how it can be improved. Introducing a mid-game debrief gives learners an opportunity to share thoughts and strategies with team members, facilitators and opposing teams. Tweaks can be made to the simulation while it is still happening to ensure everyone benefits as much as possible. 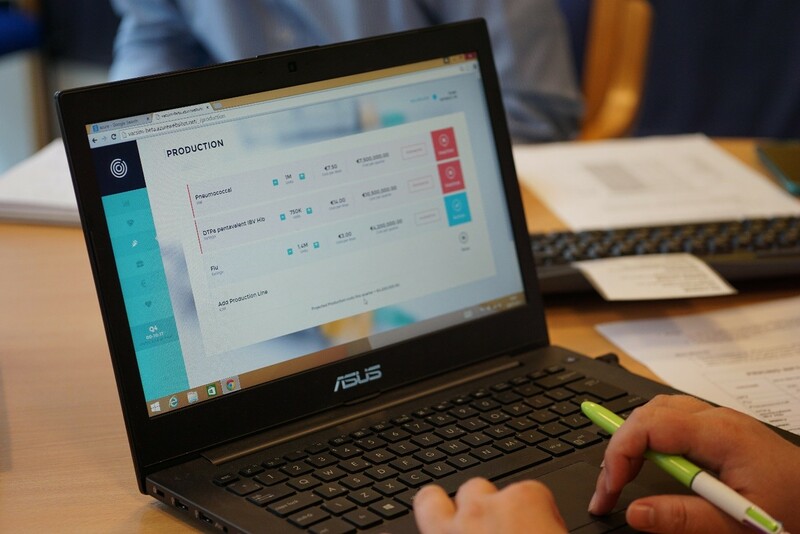 Combining the feedback and data from the simulation gives L&D a unique opportunity to compare performance and results across teams and individuals. For more on the GSK business simulation and how to make sure your business simulation is effective you can see the slides from the Learning Technologies Summer Forum presentation on SlideShare .